Emerald green! I really loved the navy option I showed you but the final color choice came down to the fact that I already have navy drapes in my dining room and a navy console table in our living room (which is open to the dining room) and I thought that adding another navy element would be navy overkill. I put the final coat of paint on the mirror tonight and will be sharing the "new" mirror tomorrow! 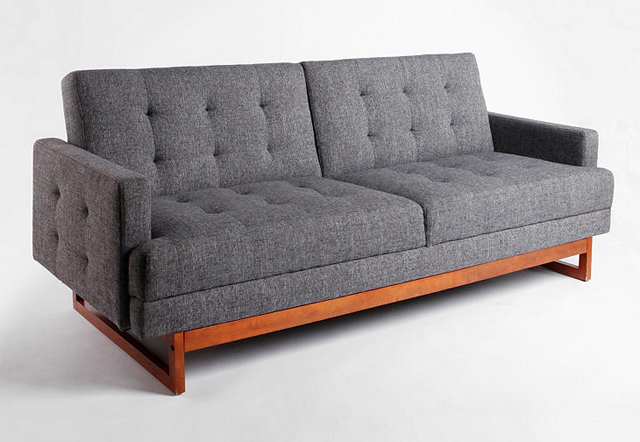 The Either/Or convertible sofa! For now that is. I still have to save up to buy it and I'm still searching Craigslist daily so there's always the possibility that I could come across something else until I've saved up enough money. The more I thought about it, and the more you guys commented, I think a sofa/daybed is the way to go since the room is so tiny and it won't see that many guests. It'll take up a smaller footprint than a bed would and I won't have to buy a mattress so it's a win-win! Is anyone surprised by my choices? I try to mix it up but I feel like I'm so predictable! Ohhhhhhh, the emerald mirror is fantastic! 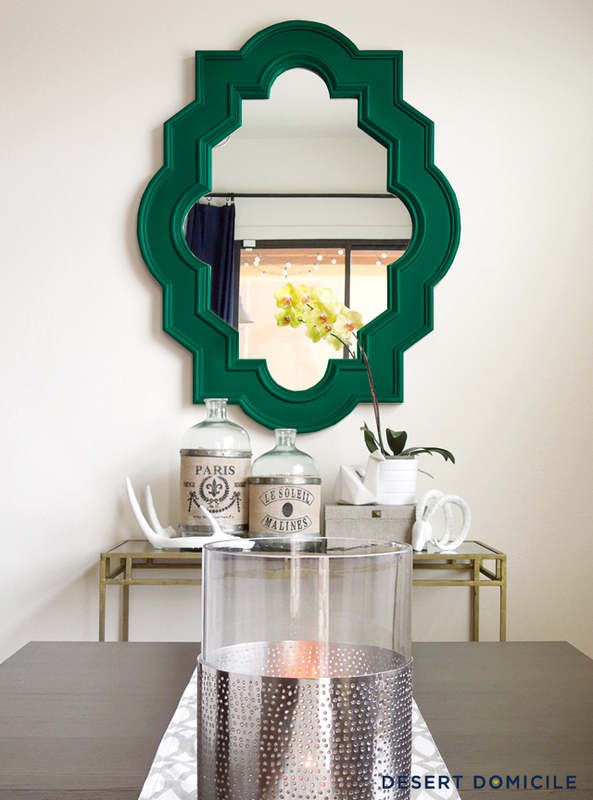 I do love the emerald choice on the mirror. It's going to look great! Can't wait to see it tomorrow. Good call on the couch. You know once you decided you'll find something awesome on Craigslist! Great choices! Don't you wish you could snap your fingers and make the photoshopped mirror a reality? Amber -Haha probably! Isn't that how it always works?! I love the emerald too! How exciting! Well if you do find something on CL, that'll save you some $$$ but I love your choice. Good luck! Yesss! I win! I totally chose emerald green from the get-go. Not like it was competition or anything though. 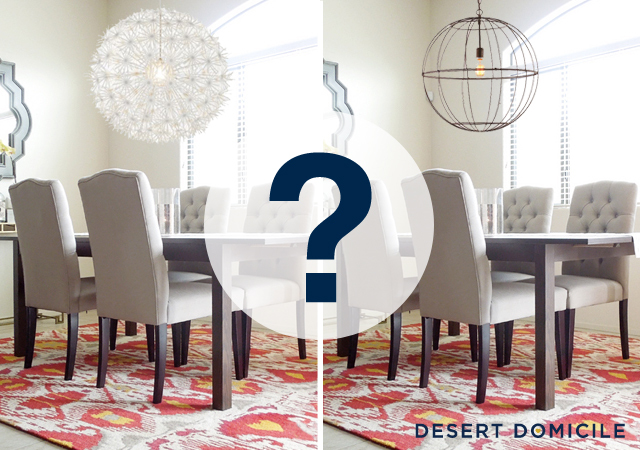 And I'm kinda digging the wire globe lantern for the dining room. But yay for buying both and seeing which one works!